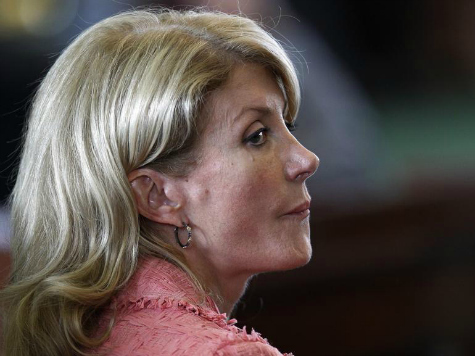 Having built a campaign around a crumbling false life story, many are asking questions about Texas Democratic gubernatorial candidate Wendy Davis. Add Charles Krauthammer to the chorus of wonderers, as he told Bret Baier he finds it an odd “coincidence” she left her husband after her last student loan payment was paid. “Everybody tries to create, especially in America, tries to create a log cabin story,” Krauthammer noted responding to the holes in Davis’s “log cabin story” discovered by the Dallas Morning News on Special Report this Friday. The problem with Davis’s, of course, is that it seems to stray too far from the truth for voters to be able to take her word for anything else. Noting that Davis attributed the inconsistencies to a “lack of tightness” in her words, Krauthammer refused to accept the explanation. “It’s really a lack of truth,” he asserted, noting not only that some parts of the story are fabrications, but that important facts seem to be omitted. Krauthammer explicitly referenced a quote from Davis’s second ex-husband, Jeffry Davis, who was interviewed for that report. Davis had previously claimed she worked her way through higher education, before the fact surfaced that her husband cashed out a 401(k) to pay for Harvard Law School. Jeffry Davis told the Dallas Morning News that the day after he made the final payment on her student loan, she filed for divorce. “That’s a hell of a coincidence,” Krauthammer noted, one that he says Davis needs to explain to the public. “Now, I’m not going to interpret it, but I think she has to explain it and interpret it,” he said. Krauthammer had several objections to the way Davis was approaching her campaign, as well, starting with the fact that America is moving right on abortion, the centerpiece of her campaign before she made it about her life story. Attributing much of the advance of the pro-life movement to “technology” and doctors’ enhanced ability to provide high definition images of the unborn, Krauthammer questioned why that would be the issue that Davis thought best to use to ascend. He also suggested that attacking likely Republican opponent Greg Abbott for the questions about her life story seems a losing strategy. “He’s attacking the veracity of her story,” he notes, not the story itself, which is a legitimate approach given the facts on the table. So far, Davis has done anything but explain irregularities in the life story that she made the centerpiece of her campaign. Her initial response to the Dallas Morning News was to assert, “damn right it’s a true story,” eventually attempting a brief but failed foray into a pro-gun stance and having her daughter write letters defending her. Her campaign has also attacked those asking questions about her casual relationship with the truth as “desperate” and blamed reports on her story on Abbott, rather than journalists at the Dallas Morning News. No evidence has surfaced linking Abbott to the publication of that story.